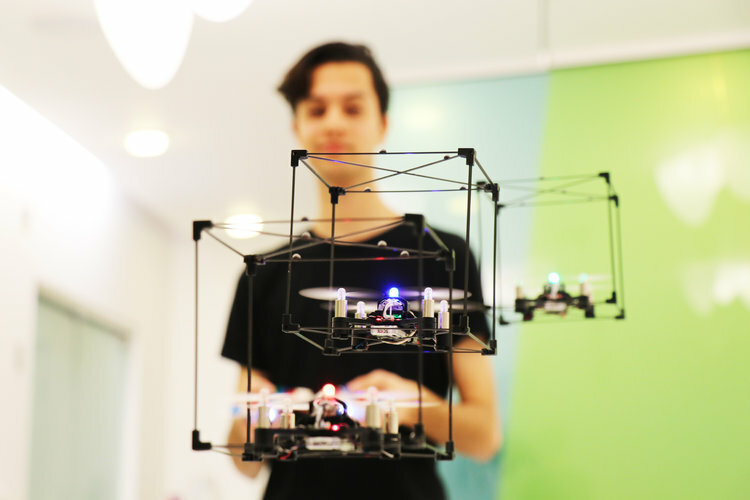 Flying LEGO® bricks and drones – ixd! Visitors were able to experience and play with new technology combining LEGO® bricks and drones. 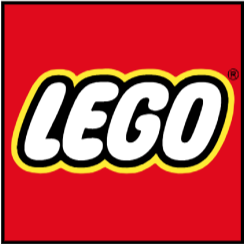 COPENHAGEN – February 15-18, children and families visiting the LEGO® World expo in Copenhagen, Denmark will have the chance to make their brick-building dreams take flight with a flock of interactive miniature drones developed by the Human Media Lab at Queen’s University in Canada in collaboration with the LEGO Group’s Creative Play Lab. The Human Media Lab (HML) at Queen’s University is one of Canada’s premier Human-Computer Interaction (HCI) laboratories. Inventions include eye contact sensors, smart pause, attention-aware smartphones, PaperPhone, the world’s first flexible phone, PaperTab, the world’s first paper computer and TeleHuman2, the world’s first holographic teleconferencing system. HML is directed by Dr. Roel Vertegaal, Professor of HCI at Queen’s University’s School of Computing. Working with him are a number of graduate and undergraduate students in engineering, design and psychology. This project has gathered millions of video views as well as coverage in print & online media outlets. Visitors were be able to experience and play with new technology combining LEGO® bricks and drones. COPENHAGEN – February 15-18, children and families visiting the LEGO® World expo in Copenhagen, Denmark had the chance to make their brick-building dreams take flight with a flock of interactive miniature drones developed by the Human Media Lab at Queen’s University in Canada in collaboration with the LEGO Group’s Creative Play Lab and Aalborg University. The Human Media Lab has worked closely together with the Creative Play Lab team at the LEGO Group and Dr. Vertegaal’s research collaborator, Prof. Tim Merritt from Aalborg University in Denmark, to create the installation. Children and parents at the LEGO World expo who tried the new technology discussed their experiences with the research team–information from these discussions will provide insights into how children interact with the drones, their ideas for how they’d like to play and learn with it in the future, and about the issues they encountered while operating the technology.